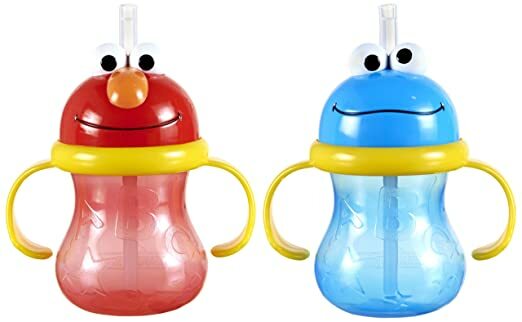 Want a sippy cup that doesn’t leak? I think we may have finally found it. And, fingers crossed this time because we are about to lose our mind from leaks. Imagine the scene: Mom and dad in a heinous truckstop bathroom trying to change a poo-splosion diaper that’s barely clinging to the underside of The Little Prince. Dad frantically digs in the diaper bag. 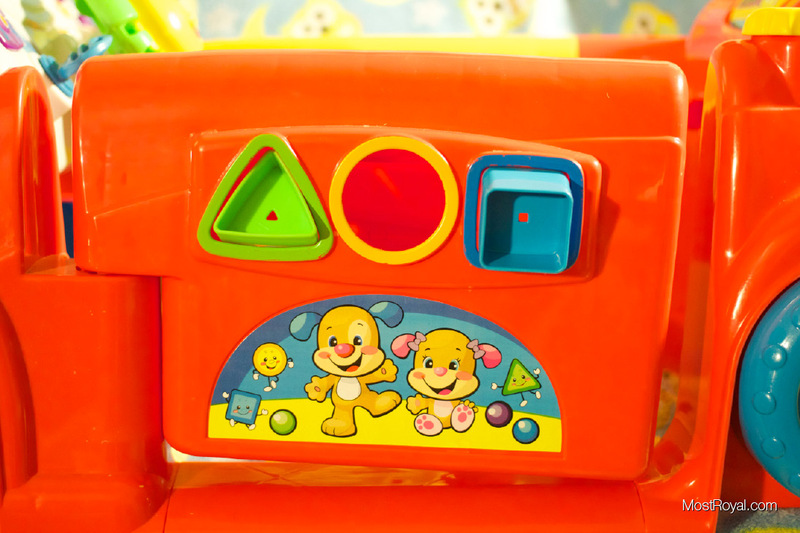 Dad finally connects with the clean pampers only to discover that they are already busily soaking up a leaking sippy cup. This bring us to our review of the Munchkin Sesame Street Character Cup, we pray to you, o’ blessed vessel of water and toddler refreshment. It has a face, thus you can make it sing and dance if your are desperate. If you have taken a long car ride you understand how helpful this can be! The lid and handles stay attached and don’t leak. Unlike some of the other cups we have tried, our little guy took to this straw right away. It may also be the first time he didn’t choke and water board himself. The straw has a 1-way valve to prevent leaks and this seems to help control the flow of liquid. He loves the handles. We have some other cups that leak when you use the handles. Not the case here. Some people have complained that the straw doesn’t have a cap. Seriously? We have not found this to be a problem. Even if it did have a cap, how long is that going to last before we lose it? About 45 seconds. Then two weeks later The Little Prince is going to find it under the couch and shove it in his mouth. No cap? Not a problem for me! As listed above, the straw has a one-way valve and we have had zero issues with leaks; a cap would be excessive. Now, is this really the PERFECT cup. No. Nothing is. But so far these have brought some sanity to our lives. We did have one leak incident, but that seemed to be our fault as we apparently didn’t put the lid on all the way. Give these cups a try. We think you will love them. Also, Amazon sells it as a two pack! After several months of use, we are sadly finding this cup leaks more and more. Particularly out of the straw when cold liquid is exposed to warmer air. It appears that the one way valve that prevented this at first is becoming looser and softer after repeated toddler abuse. 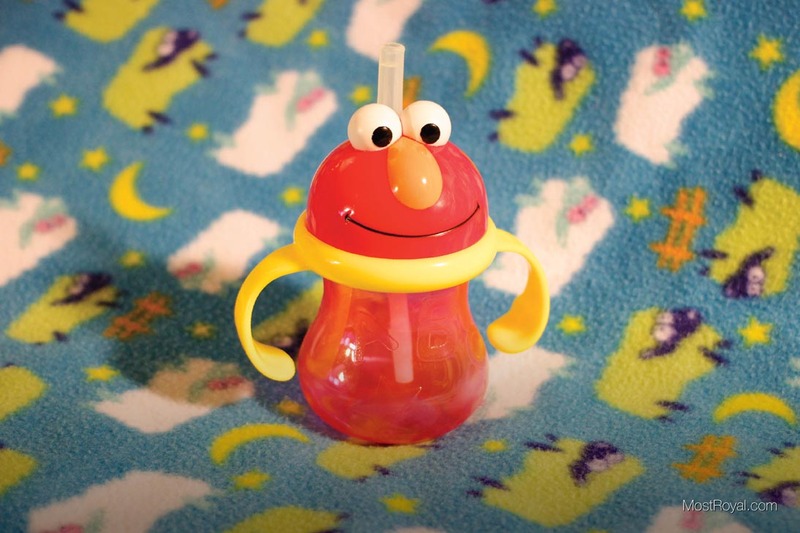 Here is a pro tip for sippy cups in general, if you fill a sippy cup with ice cold liquid and the cup gets warm it will create air pressure inside the cup. Air has to get out and it will force it’s way out, often taking liquid with it. It’s like microwaving leftovers with the tupperware lip still locked. It will heat up, pop the cover off and throw food everywhere in the process. Preventing this is super easy. Use room temp liquids or keep your cup cold. This worked well when we were just filling Elmo with water. But now that we are using cold milk out of the fridge we can watch it creep out of the top and dribble down the side as it begins to warm. When we take “Elmo” on a walk in the blistering city heat we keep him in an insulated pouch surrounded by ice. This seems to resolve the issue when traveling. But sadly, it’s when we are at home and our son is carrying this cup around and it’s not in a little cooler, well… leaks happen. It is no longer my favorite sippy cup due to the durability of the one way valve. That said, our son loves it so much that we keep it in rotation. It’s very easy to get him to drink out of this cup and that’s extremely helpful on days when he is being fussy. Revised score is: 3 out of 5 stars.